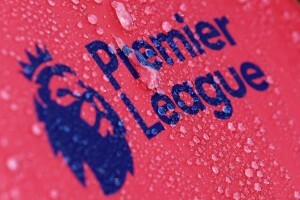 You are here: Home » English Premier League » Chelsea FC » Who Is Roman Abramovich? Ruthlessness and shyness are two personality traits you don’t normally associate with the same individual. A ruthless man is seldom shy, and a shy man finds it difficult to be ruthless. However, when one moves beyond the realms of the ordinary and into a world where the extraordinary is possible, such mutual exclusiveness ceases to exist. Roman Abramovich, The Owner of Chelsea Football Club, operates in the most mystical of ways – he rarely speaks in public, attends all the games at Stamford Bridge, reacts like a fan, and never holds back from signing players or firing managers. Due to his media-shy reserved nature, most people are reduced to sheer conjecture while talking about him. Here’s how you understand, and piece together, the rise of The Roman Empire. 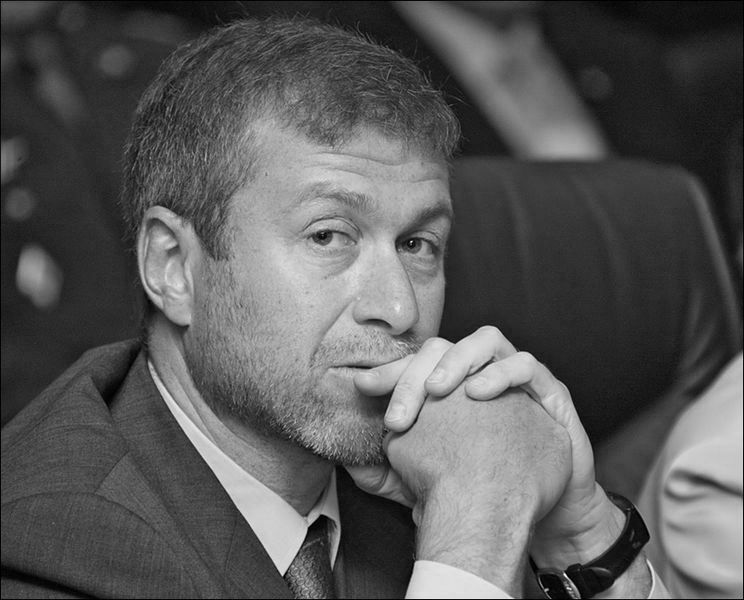 Roman Arkadyevich Abramovich was born on October 24, 1966 in Saratov. Just before his birth, his mother Irina moved to her home city from Syktyvkar. Saratov was known for the number of famous and talented writers, thinkers, and creative minds that called it home (click to know more about those people). For this reason, in Russia, having the good fortune to be born in this city was to be born lucky. In his early childhood, Roman was anything but lucky as he lost both his parents by the time he was two and a half years old. Little Roman was then adopted by his uncle Leib and moved to a city 700 kilometres from Moscow, Ukhta. After his formative school life, young Roman was enlisted in the Russian Army; he served between the two two wars – Afghan and Chechen. He didn’t drink or smoke, often considered as a pre-requisite for developing social bonds amongst men, yet was successful in establishing good relations with officers – he participated in sports, organised a football team and even set up a theatre. An early event which happened in his army life defined his character. When a young man from Kyrgyzstan, Edil Aitnazarov, came to serve his term he knew nothing about Russia. Roman taught him the language and also how to gather mushrooms. After a tragedy, the young man was demobilized. Roman gave him all the money he had, and also borrowed some from other soldiers to help him. After leaving the Russian Army, Roman tried his hand in the toy-manufacturing business – this was the beginning of a story, the story of one man’s meteoric rise in the world of business, politics and sports. After the collapse of USSR, new avenues opened up in Russia as the economy was on the verge of breaking free. As it is with successful businessmen, they do things when others are still busy contemplating its viability, the young Russian was one of the first in Russia to realise how profitable it would be to sell oil. Roman Abramovich acquired an exporting licence, purchased oil at domestic prices and sold it in the world market. In 1992, he joined hands with one of Russia’s most powerful, politically connected business tycoons Boris Berezovsky, who banked on Roman’s experience in the oil industry. Together, they started Sibneft, the oil giant. Boris regarded Roman as “The most talented young man he’d ever met” and quite expectedly, the young prodigy took the Russian landscape by storm. He funded and supported Putin before he came to power, and once he did, quite naturally both men developed a strong bond. After a rift between Berezovsky and Putin, the former took exile in London, and Roman bought his mentor’s stake in Sibneft and Aeroflot, the national airlines, and emerged as the single most powerful businessman in Russia. During his journey to the top, he has been investigated for quite a few wrongdoings – from using false documents to redirect 55 cisterns of diesel fuel to bribing government officials in order to get favourable treatment. However, none of the allegations have ever been proven and could well have been hatched by political opponents. Abramovich’s first personal project was in a place The Guardian once described as perhaps the least appealing spot on the planet. “Chukotka straddles the Arctic Circle and its nine-month winter can witness temperatures as low as -60C. It is one of the most hostile environments on the planet, home to just 50,000 people and thousands of miles of nothingness.” He began his tryst with Chukotka by first representing the region in the parliament; he frequently visited the locals and spent hours discussing their problems. Thereafter, he contested and won the elections by a margin of 92% votes to become their Governor. Roman spent £770m of his own money in building 18 new schools, rebuilding a further 18 and providing new computers, televisions, text books, free meals and therapy facilities to pupils. Twenty-eight hospitals and medical centres were constructed. The life expectancy rose by three years, the birthrate increased by almost 50 per cent to become the highest in Russia, and the infant mortality rate drastically dropped. From being one of worst places in Russia, Chokutka had become among the best. In 2003, the Russian appeared from nowhere to change the landscape of English Football forever. He purchased Chelsea FC from Ken Bates for £140m and saved the club from a possible financial crisis. The problems at Chelsea were so grave that at one point, Bates was not even able to give Roberto Di Matteo his £1.5m compensation, when the Italian had to retire due to injury. Roman was not just a saviour for the West London club, but was also a dream merchant for the fans. With him at the helm, the fans began to dream again. Even though The FA Cup remained a special competition for the club and its supporters, the ambitions were not restricted to it. He also hoped that the club would not have to wait this long for their next title, and to everyone’s delight the crown was successfully defended in the following campaign. “Money plays an important role in football but it is not the dominating factor. When Chelsea play a Carling Cup game in a small city and it could result in a draw – the excitement, the spirit, the atmosphere – that’s the real beauty of football in England. People who know me said I will win one or two Premierships and will not be interested after that. The reality is that we’ve won two Premierships but I’m more excited about this particular season than last year or the year before. I am a fan of special nature. I’m getting excited before every single game. The trophy at the end is less important than the process itself.” – Roman Abramovich, while talking to The Observer in 2006. Four years after The Blue Revolution, for the first time the fans realised that they are threading a double-edged sword when their darling, Jose Mourinho, was suddenly fired. A variety of reasons were attributed to this ruthless decision – from a desire for beautiful football to ending the power struggle at the club. At that time, this decision was regarded as a grave mistake, and quite rightly so. However, in hindsight, if one now looks at Jose’s career, it’s safe to say that if he were not fired, he could have himself resigned and moved on to greener pastures at the end of that very season. Jose was a conqueror, not a settler. If Roman’s ruthlessness had hurt Chelsea then, he saved the club when Scolari was fired with immediate effect after a ruinous several months in charge. Today we have a manager who was the owner’s first choice to replace Mourinho, but the club had to wait for him. He came with a reputation built on conquests in Europe, and in his first season, eclipsed the achievements of The Special One in England. Still he reportedly stands at the precipice of being fired after a solitary trophy-less season. Contrary to popular opinion, Roman is here for the longest of hauls. He is an extremely discerning person, and based on what he has achieved in his life, it’s difficult to believe that he can be misguided or misled by someone. He may have run the club with ruthlessness that befits a business empire, where people are hired to do a job and shown the pink slip if they fail to achieve the targets, he knows that Carlo Ancelotti’s job here is not complete. Had he not had faith in him, Carlo would already be in Rome and not still be a part of the Roman Empire. After the worst spell for the club in November and December, Roman not only backed his man but also put his money where his mouth is by signing Fernando Torres and David Luiz. This he did after people had accused the Russian of losing interest in the club based on the change in the spending pattern over the past 2-3 years. The truth, however, was that the owner had only opened the war-chest for managers who had his support. He did it for Jose, and then has done it for Carlo. In all likelihood, the Italian would be given time till the end of his contract, which ends after another year. The rebuilding process which started after the double-winning campaign will be complete this summer and Ancelotti, after assembling his team, can be expected to be given one more season to establish himself at the club. If he fails, the businessman at the helm of Chelsea will have to take a decision. For the sake of the club, it doesn’t have to come to that. Roman Abramovich as an owner of a football club, is unique in more than one way. Despite running the club like a business enterprise, he embraces it like a fan. He is present for almost all the games at Stamford Bridge, like any other season-ticket holder, and his emotions through those ninety minutes are an honest reflection of the team’s fortunes on the pitch. The excitement, the happiness, the joy, the pain, and the disappointment are all there to be seen, as he sits restlessly in his personal box. In the last eight years, without uttering many words, Roman has developed a special bond with the club and its fans. Fans hold him in very high regard and are ever so grateful to him; not only because of the promise he stands for, but also because he is of their own flock. A fan, like them. The first among equals.